In November, Montgomery County welcomed back the Kennel Club of Philadelphia’s National Dog Show to the Greater Philadelphia Expo Center at Oaks. 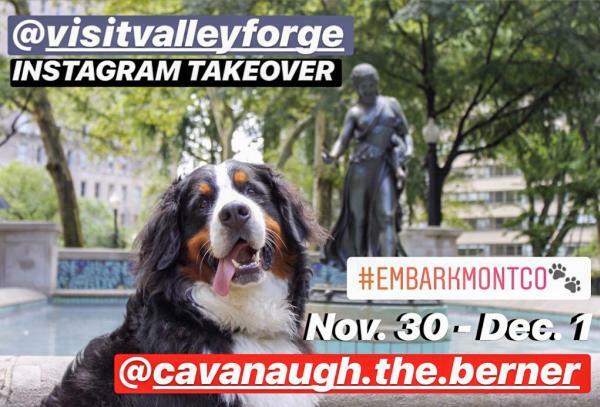 Simultaneously, the Valley Forge Tourism and Convention Board (VFTCB) announced a new campaign: Embark Montco, to bring awareness to the county’s 30+ pet friendly hotels, restaurants, spas, parks, and more. The Instagram-famous Bernese began his weekend by checking into Homewood Suites by Hilton Philadelphia Plymouth Meeting, one of 30 hotels in Montgomery County that welcomes animals! With almost half of the hotels in Montco encouraging pet-friendly travel, it gives visitors the opportunity to bring their furry companions along when staying overnight. 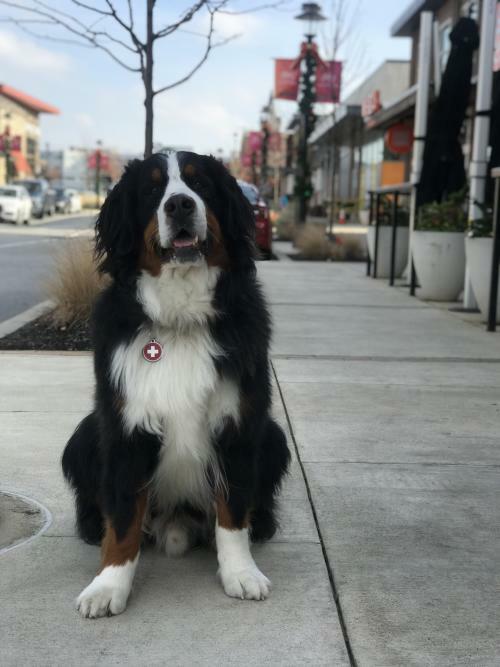 Montgomery County is home to some of the best shopping in the country, so naturally our dog influencer and his owners spent their morning visiting the KOP Town Center, and its dog friendly spots. After taking some time to roam free in the Town Center’s enclosed dog park, Cavanaugh helped his rents pick out some new running shoes at Roadrunner Sports, so they were all set for their outdoor adventure. What better place to embark than at one of the nation’s most historic parks? While trekking through miles of trails, Cavanaugh posed for several photos at monumental landmarks at Valley Forge National Historical Park. The Park even provides puppy water fountains, just under those designed for humans, to keep your pet hydrated during their day of physical activity. Montco has nearly 100 miles of trails and 14 dog parks waiting to host you and your dog on your next family adventure! *Friendly reminder that pets must remain leashed at all times at Valley Forge Park. 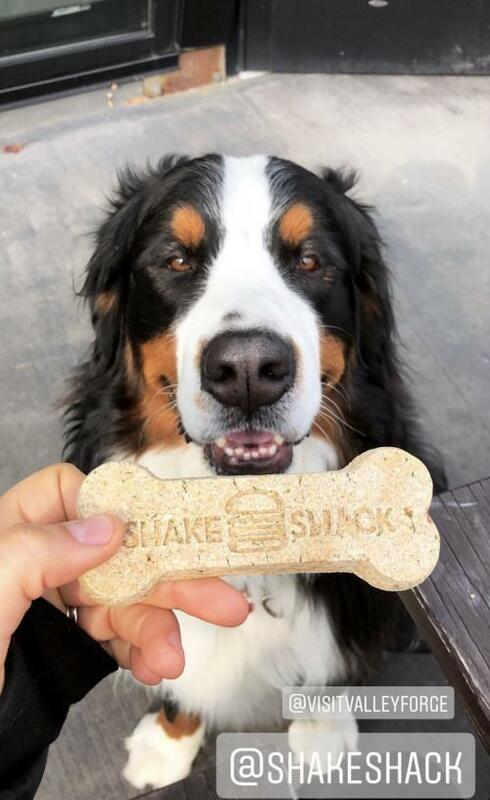 Our friends at Shake Shack invited Cav to test out their DOG FRIENDLY MENU. Yep, you read that right. Shack Shake has created a menu just for your pooch, featuring dog biscuits with vanilla custard, and a bag o’ bones! Montco has over 1,600 restaurants, and several of them are pet friendly! Time for a drink! Sly Fox hosted our visitors for an afternoon beverage on their outdoor, patio area, open year-round. It’s even heated in the winter months and fully equipped with flat screen televisions to kick back, sip on some brews, and enjoy the game. 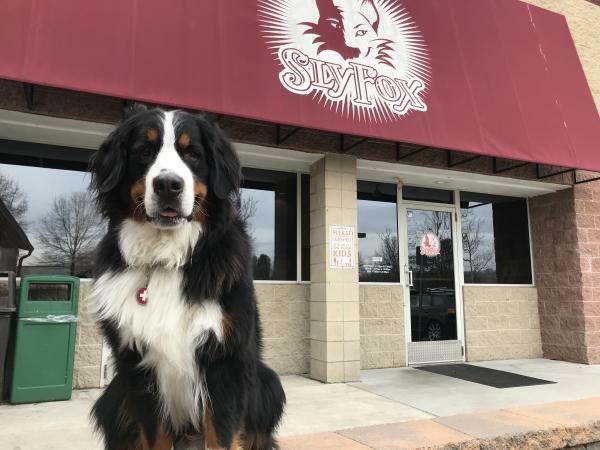 Dogs are welcome and even encouraged by our friends at Sly Fox Beer! Be sure to check out a full list of our Montco Makers, and download the app, here! Get a head-start on planning your family’s trip to Montgomery County, PA, a premier dog friendly destination, by visiting www.EmbarkMontco.com!